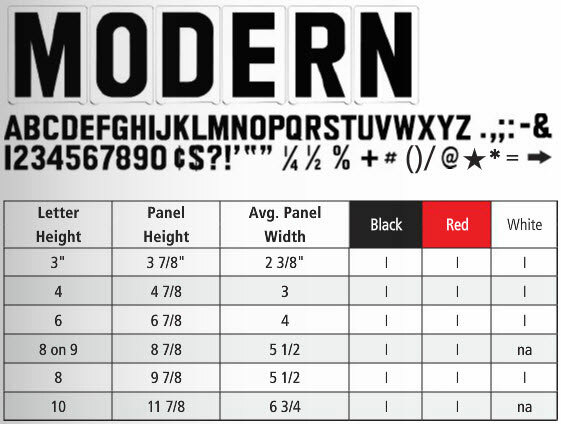 The Modern letter style is very popular. It is bold and easy to read letter style with a 3:5 width ratio. A block style rigid letter with the characters showing squared off corners. 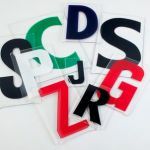 Letters can be ordered in pre-packaged sets of most commonly uses letters or individually. Quantity discounts available with the pre-packaged sets. Combine our prepackaged sets with individual letters to make your own custom marquee letter kit.Pronto Sign Rigid Letters MODERN are available in pre-packaged sets or individually. Kits are starting with 100 Characters.